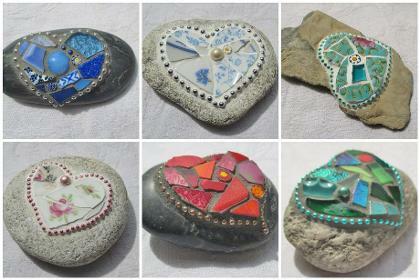 Mosaic stones are fun and easy to do and can be made in virtually any size or colour. Check out my tutorial for making mosaic stones here! I also create mosaic stones which feature tarot cards - you can see them here!